The men who ride are known to be just as tough as the roads their beasts travel on. Only a women’s companionship can turn a man into a lovable teddy bear. 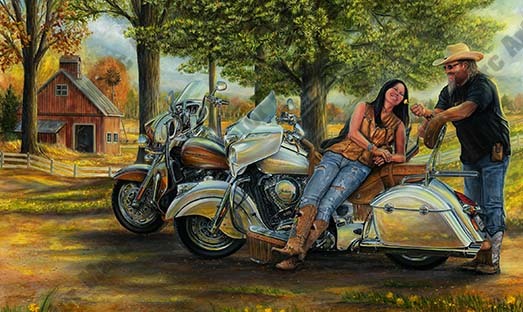 A “Motor Marc” original art commission order which was unveiled at the 2016 Sturgis Rally is now available in limited edition prints. Part of the proceeds will go to my client’s charity fund.